Sawyer Neely is a highly-respected Dallas trial lawyer. He represents individuals and businesses in state and federal courts and arbitrations throughout Texas in matters involving direct and derivative shareholder claims, breach of fiduciary duty, securities, trade secret and copyright battles, physician and business non-compete agreements, catastrophic personal injury, and various complex business disputes. 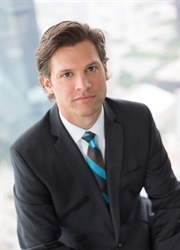 Sawyer also acts as local counsel for a number of out-of-state corporations and lawyers with Texas litigation, and he helps businesses to conduct independent internal investigations regarding, among other issues, workplace safety, sexual, gender, or racial discrimination and/or harassment, and environmental compliance. Sawyer' s skill set is comprehensive, and he works tirelessly on behalf of his clients to solve their problems in the most efficient and strategic manner possible. More information about Sawyer can be found below. Recently obtained defense verdict for shipping container testing facility facing over $8 million in alleged DTPA, contract and negligence claims brought by manufacturer of shale sand container. Negotiated favorable settlement for corporation seeking indemnity from former owners of subsidiary as a result of government investigation of unauthorized workforce. Conducted an internal investigation on behalf of petroleum refiner facing allegations involving workplace safety, product quality, and environmental compliance. Obtained advantageous settlement for publicly traded corporation and its directors, officers and controlling shareholder in connection with challenge to convertible-securities exchange offer, after successfully narrowing the plaintiff’s claims through summary judgment. Represented corporation and its directors, officers and shareholders in securities and fiduciary duty litigation against bankruptcy trustee and senior lender over failed shale play, obtaining dismissal of a majority of the claims, and a judgment and settlement at a fraction of the alleged damages. Aggressively defended medical device manufacturer facing theft of trade-secret claims, turning the tables on the plaintiff and obtaining a substantial settlement payment to the client. Represented software distributor in response to a surprise takeover attempt, obtaining multiple temporary restraining orders and a temporary injunction, filing multiple counter-claims, and ultimately fending off the takeover and reaching a one-sided settlement beneficial to the client. Counseled corporation on proper course of action in light of expiring federal legislation, and prepared brief for use in negotiations with the city of Dallas and the U.S. Department of Justice. Participated in defense of airline in shareholder derivative suit, working out beneficial corporate governance and safety procedures and a settlement benefiting the company and shareholders. Routinely manage collection, review and production of business records. Counsel clients regarding noncompete agreements, partnership disputes, stock purchase agreements, indemnity agreements, derivative suits, appraisals, and preparation and review of SEC filings.